Based in London, ABEC Apollo have supplied high quality bearings and components to a wide variety of engineering clients for over 35 years. As an existing supplier to several large firms, the client needed to replace their existing static website with a more professional looking CMS site. As is often the case with an e-commerce site, the key was to ensure that their many products -in this case several thousand- were all showcased effectively and were laid out in easy to search sub categories. The client also wanted the functionality of an e-commerce site, but wished to maintain a 'direct deal' approach with their client base, replacing online payments with a pre-order function using a Wish List and order form. 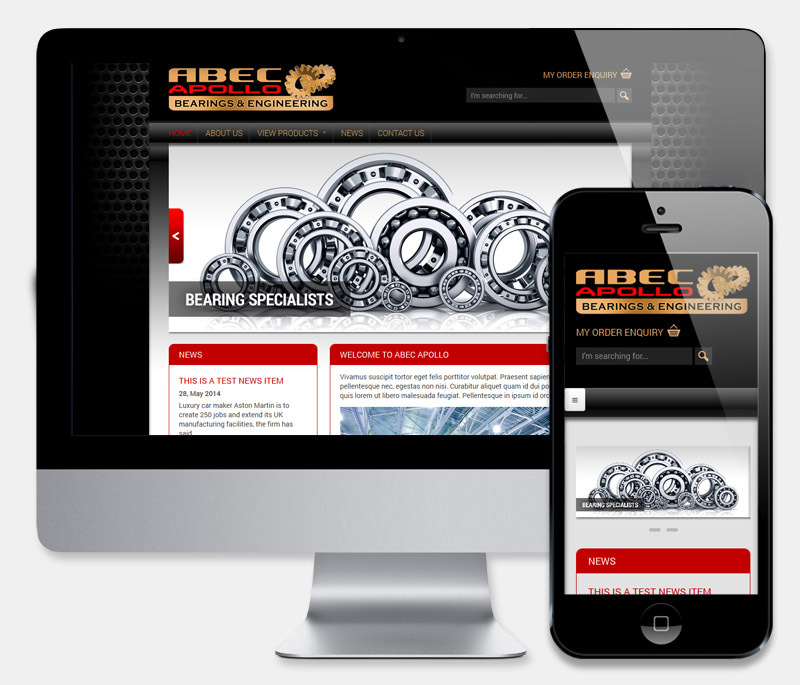 ABEC Apollo is an e-commerce site built with Drupal Commerce.The site contains a huge variety of products, listed in a multi-category catalogue. The implemention of a 'Mega Menu' and a detailed search facility -able to view additional site attachment content- greatly simplifies the browsing process and user experience.